along with andy narrell, i was a co-guest soloist with the steel band at miami university in oxford, ohio friday night. i used my dv ny 9* with an alexander superial #3. andy had very nice things to say about the the sound of my tenor. with this setup, i was able to get that coltrane “thing” whatever it should be called–that fullness and focused, centered,vibration that has been very elusive for me with other pieces. once again, jody, i can’t thank you enough for all the meticulous hard work you have put into designing and making your pieces. it truly is taking my playing and my music to a new level. one other thing-ornette coleman’s statement about it feeling as if there is no mouthpiece there–that statement really helped me in picking reeds that allow that feeling to occur! i have probably tried to put too much air thru the horn in general in the past. i am now finding-with your pieces, that i don’t have to work so hard, and that the sound can exist in that perfect place that doesn’t require overblowing. it’s great that ornette made that statement. i think it will help lots of players to read what he said! Randy is a classically trained clarinetist, saxophonist and pianist who became aware of improvisational music at an early age. While he has performed and recorded in many different styles, his current focus in The Randy Villars Band (in which he plays the tenor saxophone) and Randy Villars Trio (in which he is the pianist) is post-bop jazz. As a composer, he has written in many different styles and contexts including music for broadcast advertising and film. His professional playing experience includes performances with jazz greats Sonny Stitt, Eddie Harris, James Moody, John Scofield, Steve Turre and Andy Narell among others. Randy has played with The Cincinnati Pops Orchestra, The Dayton Philharmonic Orchestra and The Springfield (Ohio) Symphony. Randy is a music educator, having served as a graduate teaching assistant at The Ohio State University and as a faculty member at the Stivers School For The Arts in Dayton, Ohio. Randy founded The Dayton Jazz Institute, his private lesson studio specializing in the teaching of jazz improvisation. Randy has authored two books on jazz improvisation. He has worked as a session player and composer/ producer in the commercial music field and as a pit orchestra musician for touring Broadway shows. 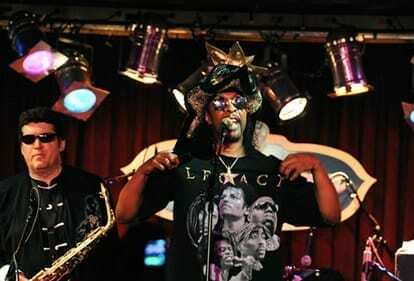 From 2011 to 2015, he toured the world on saxophone with funk legend Bootsy Collins playing to audiences sometimes approaching 100,000 people. Randy is in the planning stage of a CD project called “The Other Side” with the other members of The Randy Villars Band to be released in 2019. The group made its New York debut in June of 2017 at The Bar Next Door, in Manhattan. 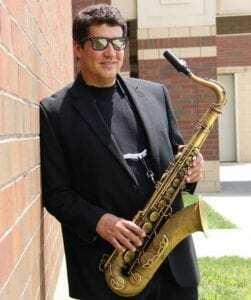 Randy plays and endorses Selmer saxophones and is a registered Conn-Selmer artist. He endorses JodyJazz mouthpieces.